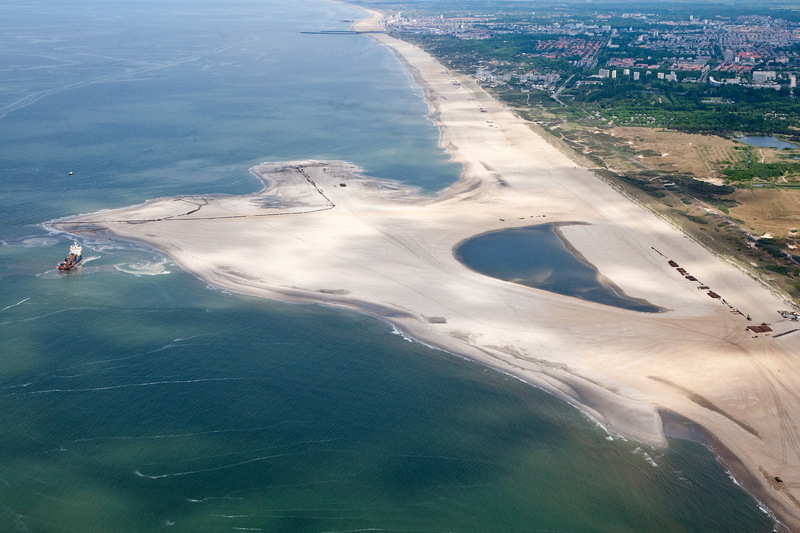 Experts are already contemplating whether the same principle might be used in the Wadden Islands to protect them from constant sea erosion and rising sea levels. That idea constitutes the basis for the SEAWAD research project (TU Delft). Before the trial began, the Sand Motor was expected to last for twenty years. It was thought that the sand would be spread along the Delfland coast during that time. That will probably take longer. At present, the Sand Motor is already supplying sand to a five-kilometre stretch of coast. In the first four years, almost a million cubic metres of sand was moved to the south and about 1.5 million cubic metres has been moved to the north. Dunes in the coastal area near the Sand Motor have grown less quickly than expected. However, this has not affected the level of protection afforded by the coast since the coast was already strong enough before the Sand Motor. The main reason the dunes are growing more slowly is that the sand has to cover a relatively large distance before reaching the dunes.